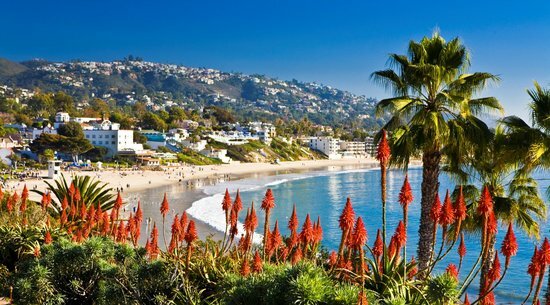 About an hour south of Los Angeles, Laguna Beach has a spectacular clifftop setting above some of the finest beaches in California. Outdoor enthusiasts can snorkel, scuba dive, body-surf, or hike the trails in nearby Laguna Coast Wilderness Park. A center for artists, there are a number of special events and festivals,such as the Sawdust Art Festival, Festival of Arts/Pageant of the Masters, Art-A-Fair and Plein Air Painting Invitational. The Laguna Art Museum focuses on California artists. Window shoppers and collectors will enjoy strolling the village’s quaint streets, as well as visiting galleries spotted along Pacific Coast Highway.